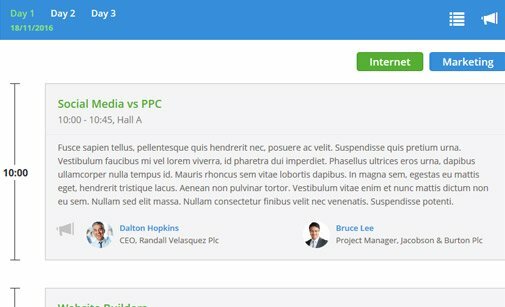 Installing our PHP-based event booking system on your website will enable you to list and promote countless events, add multiple ticket types (paid, donation, free, early bird, etc. ), upload seat maps, manage bookings, and process various offline & online payments. What’s more - administrators can personalize and issue invoices, create PDF tickets, launch promo codes, and use the built-in barcode reader. 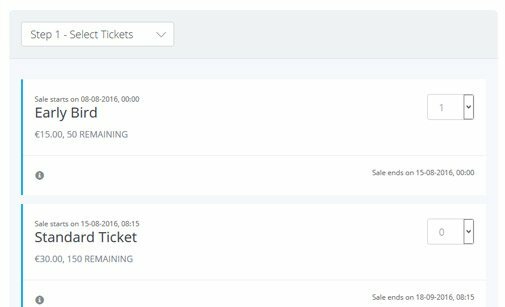 Via the ticket booking system admins can add and edit events, create different types of tickets for each event, upload a seat map, keep track of event tickets sold and available, etc. The PHP ticket reservation system is fitted with a barcode reader enabling you to launch discounts with promo codes. Customers will be requested to enter the code in the first step of the checkout form. The online ticket reservation system allows you to add unlimited ticket types - paid, charity, free, adults, children, student, senior, early bird, etc. You can create PDF tickets, configure wait lists, etc. The PHP event booking system supports various payment methods. PayPal & Authorized.NET are set by default. You can request other payment gateways, and accept cash, CC, and wire transfers. Attendees buy tickets through an easy step-by-step booking process. 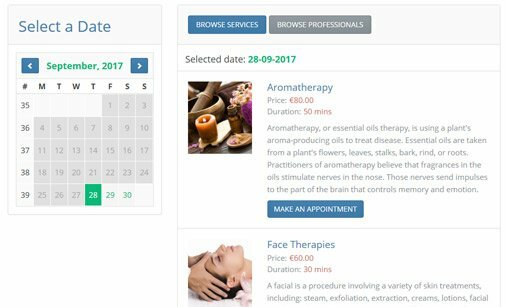 Admins can review the latest bookings and tickets sold on the dashboard, customize the booking form, add / edit bookings, etc. Event ticket system admins can edit and set up different types of autoresponder messages and alerts which will be sent via Email / SMS to selected users (administrators, clients). The built-in invoicing module allows you to personalize invoices with the company details and brand elements, adjust their template, set payment options, preview, print and email invoices, etc. Purchasing Event Ticketing System with a Developer Licence will allow you to make your custom modifications to the source code. Or maybe you'd prefer a User Licence? 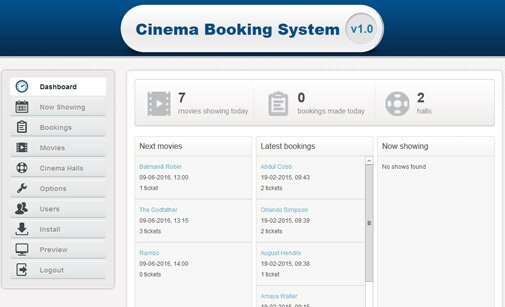 Preview the front-end UI and explore the admin system of our online ticket reservation system. 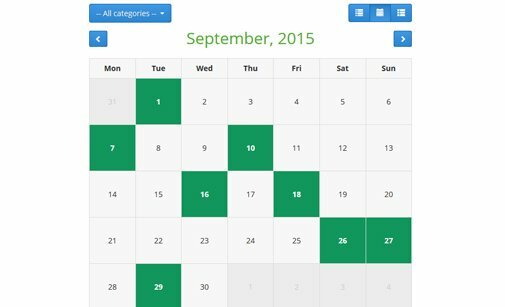 See how our event booking system will look on your website! Click the button below to access the ticket booking system back-end. 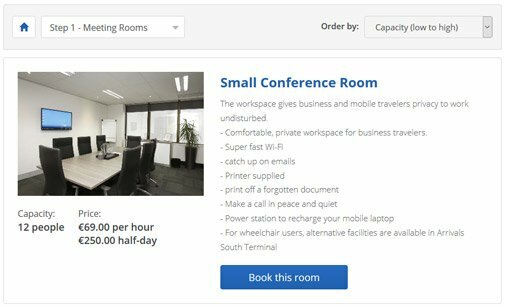 Check out our solutions for managing events, online bookings or dynamic content on your websites. You can buy our event ticket system either with a Developer, or with a User Licence. Need a custom modification? Just contact us and tell us more! Check what other clients using our PHP ticket booking script have shared with us! I just wanted to let you know how much I have appreciated your service. Response time was rapid and helpful. I wish I had discovered PHPJabbers.com sooner. When I think of the hours I spent trying to write my own scripts or editing the free scripts I found online, I realize what a waste it was. 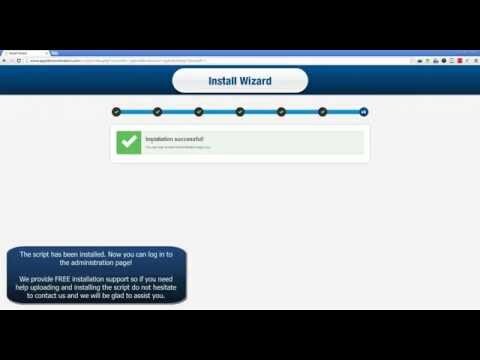 Your PHP scripts are incredibly simple and appear exactly as advertised. The low price makes the time savings indispensable. Thank you! I purchased the event booking system (at an extremely reasonable price) with very little knowledge of Joomla1.5. It was customized for me very quickly and the instructions for installation were clear and concise. A small fix was necessary and the customer service operation headed by Alexander 'Sasho' Valkanov came through for me in (believe it or not) minutes. I highly recommend PHPjabbers.com. I wanted to mention that after looking around on the internet for other options, your company seems to be the best I've found. Your layout is simple, clean, professional and user friendly. The highest quality at very reasonable prices. I also like the layout of your site that avoids all the unnecessary advertisements that we would not support. Thank you. 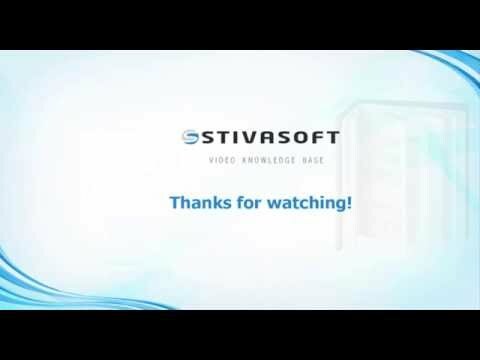 I am so glad that I have found StivaSoft. I can now supply my clients with the scripts that they need. StivaSoft was outstanding in helping me install and modifying the event ticket reservation system to my exact specs. Always a quick response to support questions. Excellent customer support. I will be back! Thanks again. The products we are using fit perfectly with our needs. The customer service is awesome! Maria is a superstar in that department. I would not hesitate to recommend their services as you will not be disappointed. 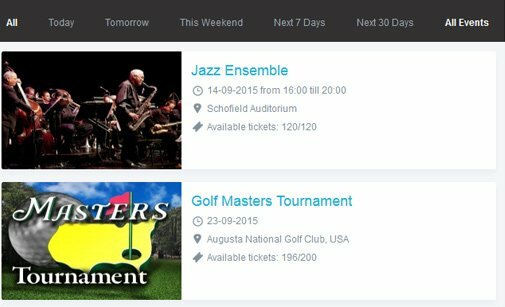 Read more about our Support Service and how we can help you install Event Ticketing System.